Herbalism, or herbal medicine, is the use of plants for their medicinal purposes. Plants have long been the basis for medical treatments and such traditional medicine is still practiced widely today. Seasonal herbalism is at it’s best in the spring when many healthy “weedy” plants begin to grow. By knowing which plants are safe to use, we can harness their energy and strength. Nettles, dandelions, violets, and chickweed, showcase their vitality by sprouting up to greet the first warm rays of the spring sun. Nettle is one of the first plants to rise up in the spring to grace our world with green. It’s many health benefits make it one of those superfood herbs that should not be overlooked. It can be used for many different ailments, such as arthritis, psoriasis, anxiety, and is said to cleanse the liver and bowel, and help keep infections at bay. 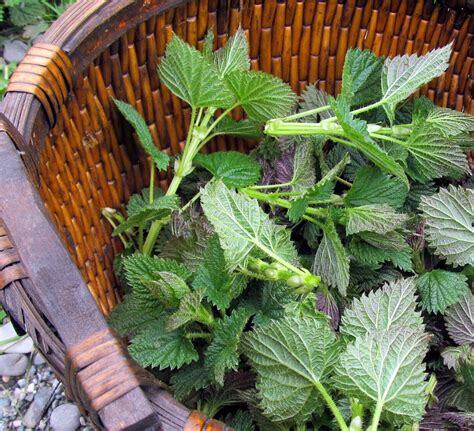 Picking your own nettle leaves in the spring, when nutrients are particularly high in the plant, can provide that boost of vitamins and minerals. 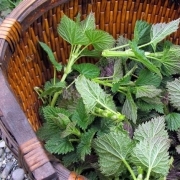 The nettle leaves can be used fresh or dried for use in cooking or skincare throughout the year! 3. Collect a lot as the dried leaves really shrink! 9. Use the dried leaves like spinach in pancakes, stews, soups, pies, milkshakes, or in homemade pesto (use in moderation to avoid a bitter taste). You can also use nettle tea as part of your skin or hair care routine! I Have Some Uplifting News To Share With You How Tiny Are Acupuncture Needles?